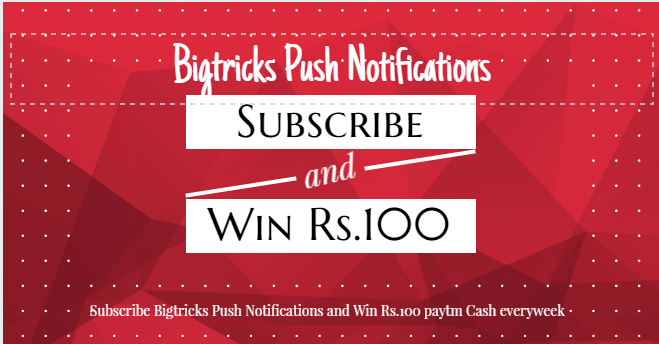 Bigtricks Push Notifications Amazon Offer: Hello Guys, Bigtricks is the Only Loot Tricks Junction where people earn real paytm cash by just Signing up on offer sites, We Fin latest offers for users and help them to earn with bigtricks You can check bigtricks App for More details and Cashback offers from here. 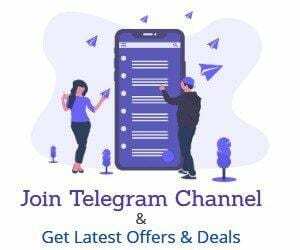 We have many ways by which you can connect with us and avail our offers and loot tricks.You can Join Our Whatsapp Broadcast, Telegram Channel, Facebook Group, Facebook Page, Email Subscriptions and Push Notifications. Push Notifications are Real-time & Instant for all the users who are using Chrome & Mozilla Firefox browsers.As Soon as We Publish a Post You will get A notification to ensure you won’t miss any deal again. 2.Now a Modal will Open in the footer of the screen for Mobiles & Top on the Desktop Mode. 3.Now Click on Continue and you will be asked to Allow Push Notifications by Browser. 4.Click on Allow button and You will be Subscribe to Push Notifications. 5.Now You will Receive A Welcome Notification.You have to Open that and Submit your details to Get Amazon Vouchers. 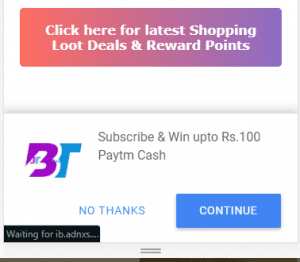 6.If you were lucky You will get Rs.100 Paytm Cash or Amazon Vouchers. 7.We will Notify You using SMS if You Won the Contest.